Clove is a spice that’s often relegated to the spice rack for the majority of the year. Pulled out at Christmas time, the spice is added to cakes and cookies. But clove could be a delicious addition to many of your weekly meals. Not only will you love the aromatic taste of cloves, but you’ll also appreciate the health benefits you can gain by eating the spice. Clove has been used in the east for thousands of years to treat various health ailments. In Traditional Chinese Medicine, clove has been pressed into service as an aphrodisiac, as a treatment for cancer, and to ease respiratory symptoms. 1. Vitamins and minerals, including vitamins C and K, calcium, manganese, and magnesium. All of these nutrients could boost your health but manganese holds specific significance. Manganese is needed to activate key enzymes in the body. The mineral also plays a role in fat metabolism, and it has a stabilizing effect on the nervous system, where it can help to stave off depression and symptoms of anxiety. Clove contains an active ingredient called eugenol that has been shown to help in the fight against the kind of cellular damage that can lead to cancer. Eugenol is also beneficial when it comes to fighting infectious bacteria, which leads directly into another common use for clove: the treatment of cold and flu symptoms. If you have a sore throat, in fact, you can easily make your own effective home remedy from clove essential oil. Just add four or five drops of the oil to half a cup of water and gargle. Clove oil is often added to toothpastes because of its ability to eliminate harmful bacteria and fungus and can be used as an adjunct treatment for gingivitis. Clove oil acts as a mild analgesic too, soothing away tooth pain. Here’s another home remedy for cloves that you might be unfamiliar with: as a topical treatment to heal acne. Combine ground cloves with one tablespoon of honey and a quarter teaspoon of lemon juice. Mix to a paste and apply directly to the skin. You can add cloves to your diet by using whole cloves or ground cloves in recipes or by drinking a tea made from whole cloves. Grind the cloves in a coffee grinder, place in a mug and steep with boiling water for 10 minutes. And, of course, you can bake with cloves. Cloves taste great in all sorts of cookie and muffin recipes. 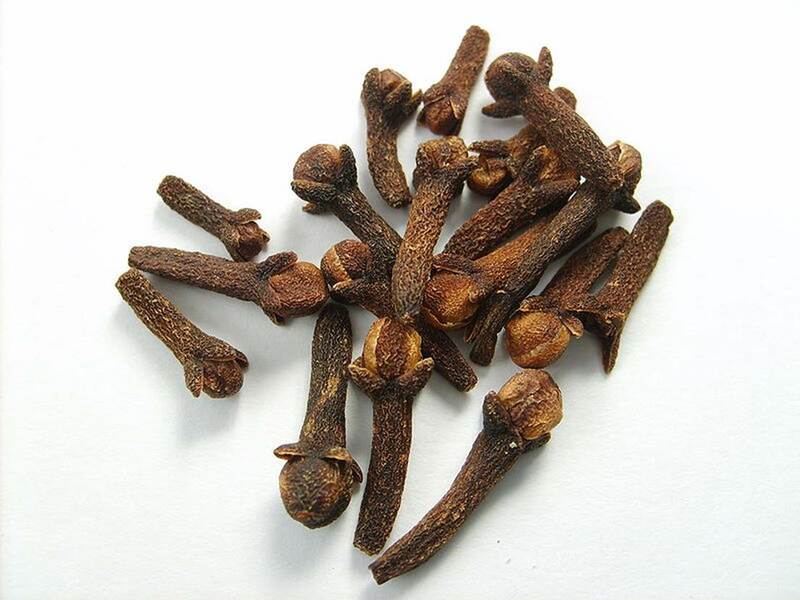 Cloves are also a great addition to breads and pies. If possible, try to grind your own whole cloves just before using in a recipe. Ground cloves can sit on the shelf at home or at the grocery store for extended periods. Some of the beneficial nutrients in cloves may disappear the longer it is stored. Wright, C., “15 health-enhancing reasons to enjoy clove spice every day,” Natural News web site, Oct. 22, 2013; http://www.naturalnews.com/042604_clove_spice_health_enhancement_Traditional_Chinese_Medicine.html, last accessed Oct. 23, 2013. Nuñez, L., et al., “Microbicide activity of clove essential oil (Eugenia caryophyllata),” Braz J Microbiol. October 2012; 43(4): 1,255-60. Friedman, M., et al., “Bactericidal activities of plant essential oils and some of their isolated constituents against Campylobacter jejuni, Escherichia coli, Listeria monocytogenes, and Salmonella enterica,” J Food Prot. October 2002; 65(10): 1,545-60.